Liverpool manager Jurgen Klopp welcomed coach Pep Lijnders back into his management team today as the Reds began their pre-season training ahead of the 2018/19 campaign. The Liverpool players not involved in the World Cup were back at Melwood to begin their conditioning, including new signings Fabinho and Naby Keita. Another man returning after a summer break was Lijnders, who left his position as Liverpool development coach last January to become manager of NEC Nijmegen, only to be sacked by the Dutch club in May. According to the Liverpool Echo, Klopp has offered Lijnders a role in his set-up once again, with increased resonsibility in the continued absence of the Liverpool manager's number two, Zeljko Buvac. 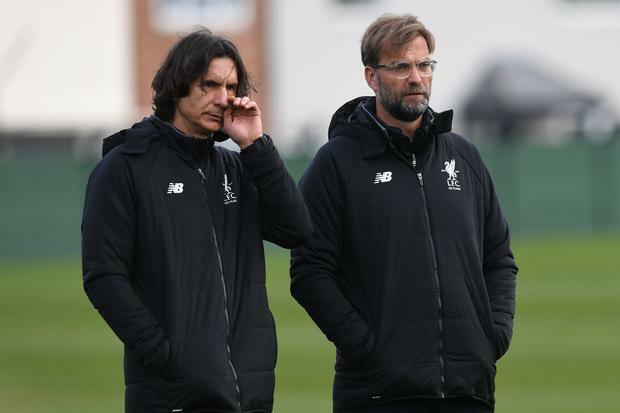 Buvac, Klopp's long-time assistant, left the Anfield club ahead of the Champions League final, with Liverpool saying it was due to 'personal reasons'. He remains an employee of the club, but was not at the first day of pre-season training today. Liverpool will play their first pre-season friendly against Borussia Dortmund on July 22.